Dynamism and cultural richness. Rouen is an essential getaway in Normandy. In the heart of the historic district, in a chic and relaxed atmosphere, discover the secrets of the City of a Hundred Spires. 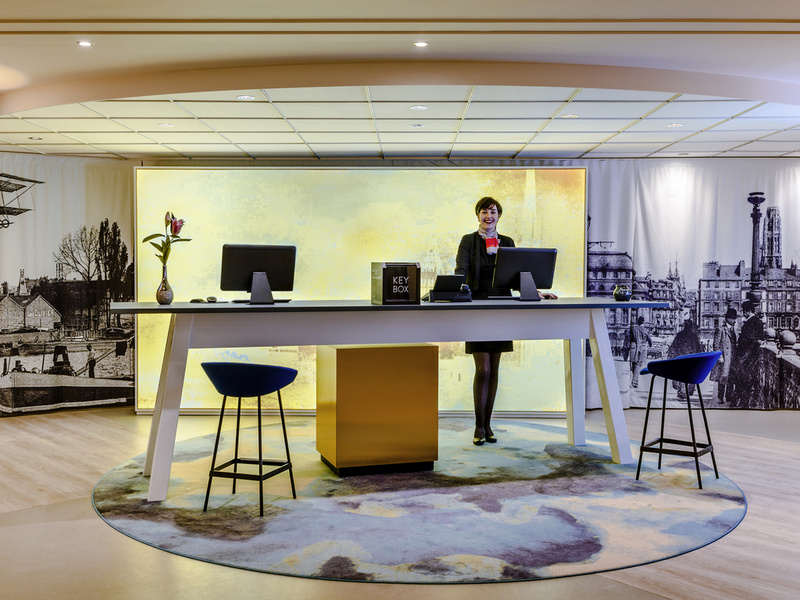 Located in the center of Rouen near the train station, the fully renovated 4-star Mercure Rouen Centre Cathédrale hotel welcomes you to the heart of Normandy and the Seine Valley. Ideal for relaxing with the family or for cultural or business trips, the hotel is located in the peace and quiet of a pedestrian area, at the foot of Rouen Cathedral. It is close to a number of major tourist sites: the Historial Jeanne d'Arc, the Beaux Arts museum and even Panorama XXL, a unique location in France. At the foot of the Rouen Cathedral and a short walk from the main tourist and mediaeval sites in the city centre, this Mercure hotel is an ideal starting point for visiting the Beaux-Arts Museum, the "Gros-Horloge" and Joan of Arc's stake. Make the most of your stay with a range of recently renovated rooms with decor inspired by the impressionists. Choose a standard room with double bed or twin beds, or even with a sofa, Some rooms enjoy a privileged view over the Cathedral from the balcony or terrace. Let yourself be seduced by the cozy atmosphere of the Suite and its lounge space, where you can enjoy views of the Cathedral. Whatever your desires, our new Cuisine Lounge offers you modernity, variety and flavor in every dish. Choose freely, just like at home. Our brand-new, chic and relaxed Lounge space offers a welcoming spot where you can work or relax in comfort. Discover our selection of fine "Cave & Saveurs" wines and marvel at our varied menu. 구시가 중심--대성당 근처--에 위치하여 관광하기에 편리했으며, 주변에 상점이 많아 쇼핑에도 편립함.